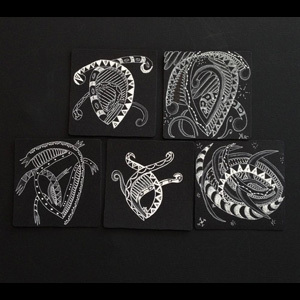 Today I taught a Black Tile Zentangle® Class. 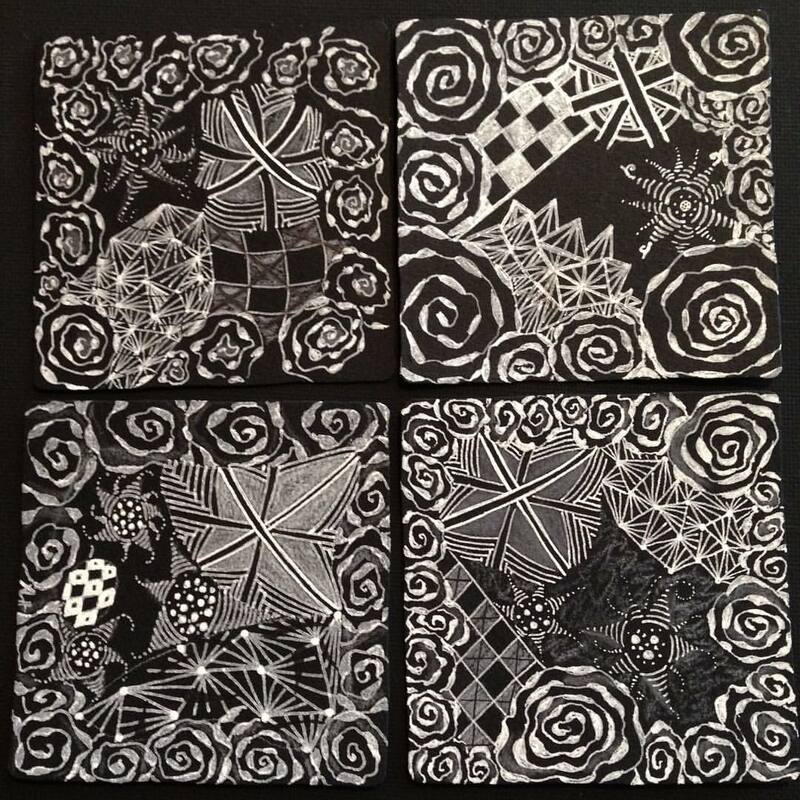 It was my first opportunity to teach a black tile class and we all had a great time. It's so much different than a white tile and black pens! So... here are our mosaics!!! We started off playing with Mooka and getting used to the new tools. 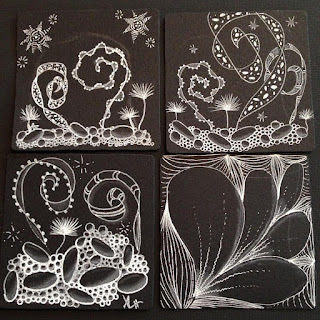 Then we jumped in and created some gorgeous tiles! 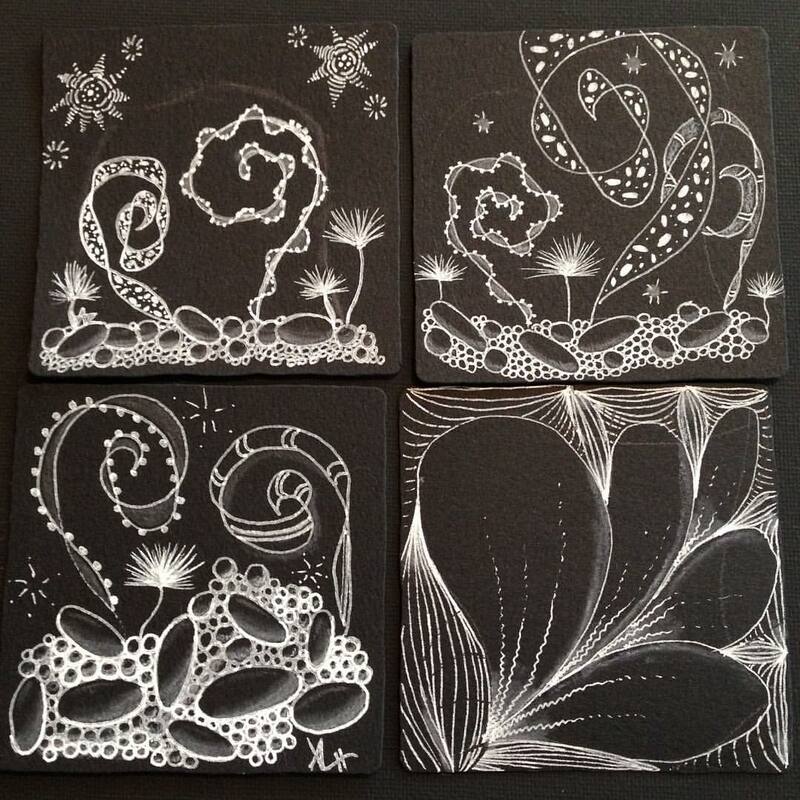 And then we all expressed ourselves - either using our favourite tangles, or learning my 'signature' tangles. 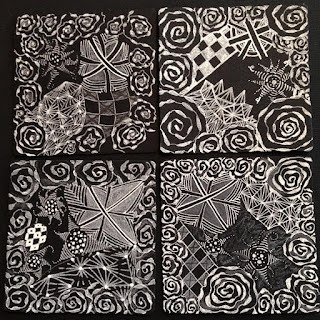 Didn't everyone create some gorgeous tiles?